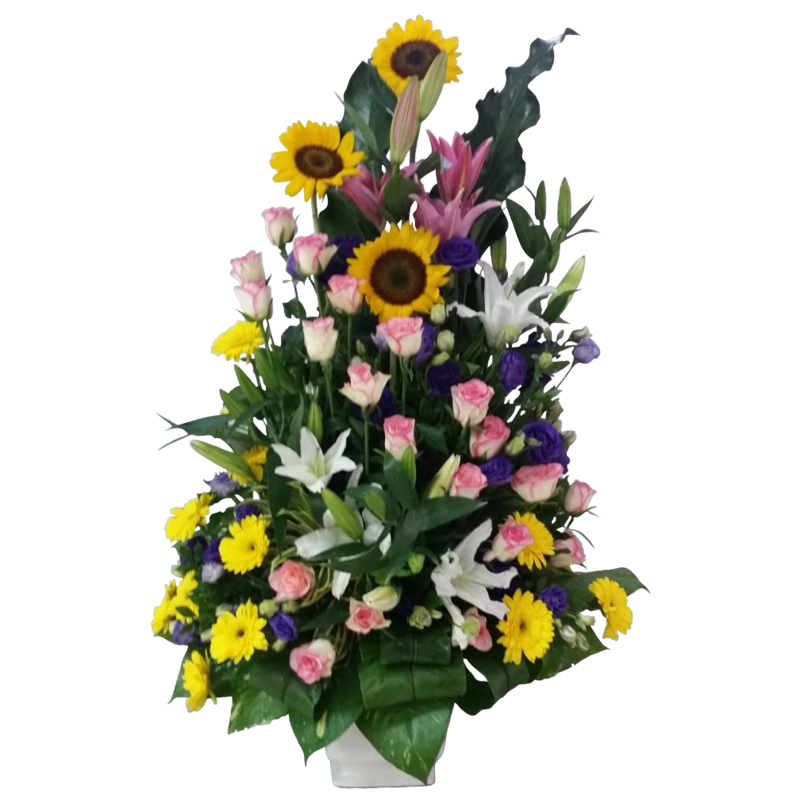 Special vase arrangement of imported roses, stargazers and casablancas, sunflowers and Gerbera. A grand gift for a very special person. Free delivery in Metro Manila.